German Passport - State Of Baden 1947 - Unusual! German Passport – State Of Baden 1947 – Unusual! 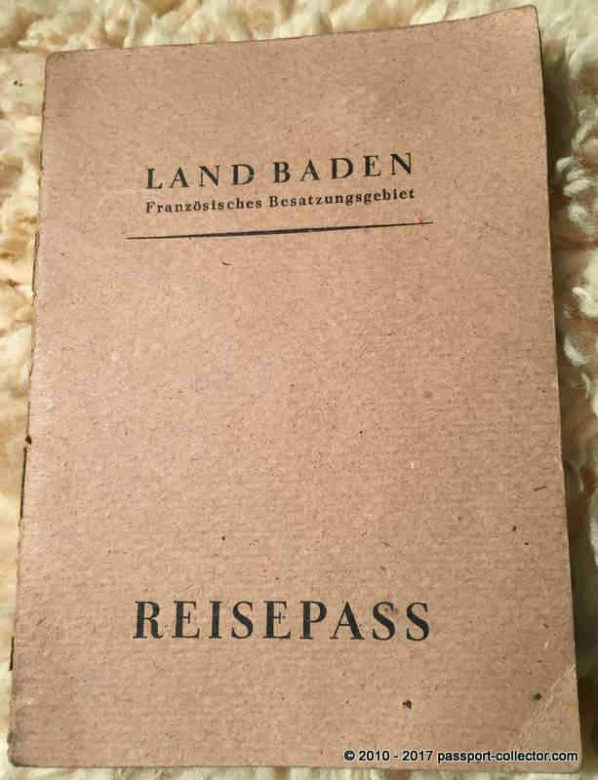 The document states “LAND BADEN – FRANZÖSISCHES BESATZUNGSGEBIET – REISEPASS” (State of Baden – French Occupation Zone – Passport). 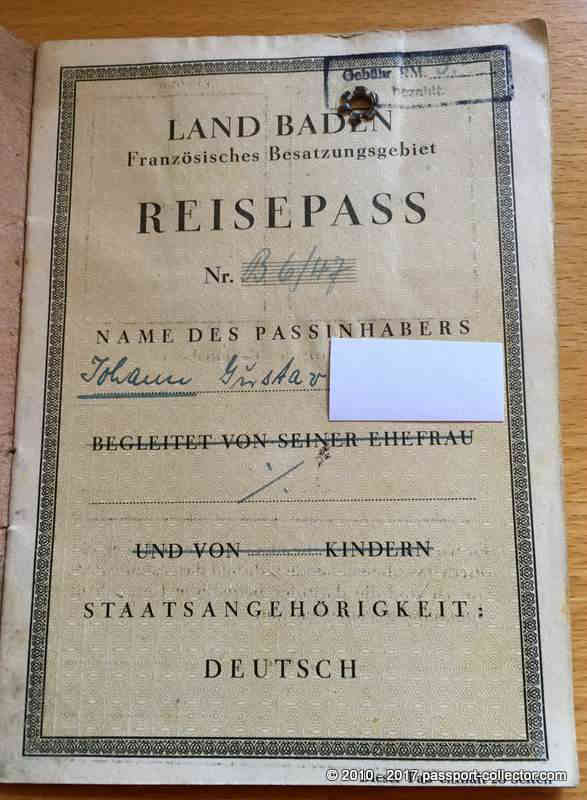 A German fellow collector send me these pictures of a quite unusual passport type which I’ve never seen before. The passport has an official form even there is no form number printed somewhere which is often to spot at the back cover inner or outer side. The passport issued in at Lake Constance on Jan 23, 1947 has twenty pages and was valid for one year. No entries. So far I could not find more details online during my research. However this document is a rare one. Baden is a historical German territory. Together with Württemberg and the former Prussian province of Hohenzollern, two other historical territories, it currently forms the Federal State of Baden-Württemberg. After World War II was over, the states of Baden and Württemberg were split between the American occupation zone in the north and the French occupation zone in the south, which also got Hohenzollern. The border between the occupation zones followed the district borders, but they were drawn purposely in such a way that the autobahn from Karlsruhe to Munich (today the Bundesautobahn 8) ended up inside the American occupation zone. In the American occupation zone, the state of Württemberg-Baden was founded; in the French occupation zone, the southern part of former Baden became the new state of Baden while the southern part of Württemberg and Hohenzollern were fused into Württemberg-Hohenzollern. Article 29 of the Basic Law of Germany provided for a way to change the German states via a community vote; however, it could not enter into force due to a veto by the Allied forces. Instead, a separate article 118 mandated the fusion of the three states in the southwest via a trilateral agreement. If the three affected states failed to agree, federal law would have to regulate the future of the three states. This article was based on the results of a conference of the German states held in 1948, where the creation of a Southwest State was agreed upon. The alternative, generally favored in South Baden, was to recreate Baden and Württemberg (including Hohenzollern) in its old, pre-war borders.